View all Seb Fontaine's events » . 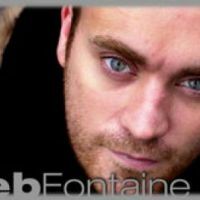 Seb Fontaine (born Jean Sebastian Fontaine in 1971) is an English house music DJ. Fontaine had his first DJ gig at Crazy Larry&apos;s on the Kings Road, London, but he soon progressed to residency at the Fridge in Brixton in 1989. Having worked at various other clubs in London, he eventually became a resident DJ at one of the UK&apos;s largest club nights at Cream, and also went on to feature at its Ibiza nights. Here are the latest Seb Fontaine mixes uploaded to Soundcloud. Do you promote/manage Seb Fontaine? Login to our free Promotion Centre to update these details.